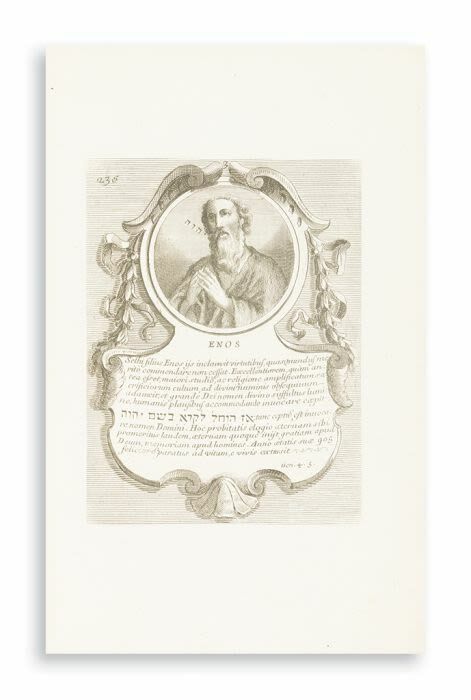 Bidspirit auction | GAJO, BARTHOLOMAEUS. First Edition. Title in red and black, with printer’s mark. 112 copper-plate engravings. Some Hebrew. One plate stained. Recent gilt-tooled mottled calf. Folio. Plates feature Biblical figures from Adam through the kings of Judah; and the kings of the Second Temple period until Agrippa I. Portraits accompanied by brief biographies.